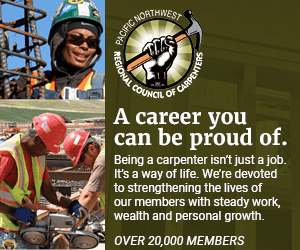 WASHINGTON (AP) — The Supreme Court is hearing arguments in a case that could deal a painful financial blow to organized labor. The American Civil Liberties Union is on the unions' side against an individual's free speech claims. ACLU Legal Director David Cole said fair share fees do not violate nonunion workers' rights. "This is the place, sisters and brothers, where we make a stand today," said Lee Saunders, president of American Federation of State, County and Municipal Employees, at a rally Saturday in New York City. A union local is the defendant in the case.